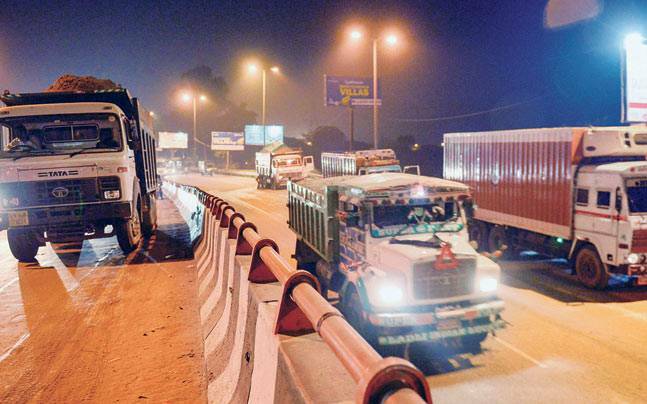 The Supreme Court-empowered Environment Pollution(Prevention and Control) Authority or EPCA on Tuesday banned the entry of trucks into Delhi between November 8 and November 10 amid projections of further rise in pollution level in the national capital post Diwali. The trucks carrying essential commodities, will, however be exempt from the ban, the EPCA said in the directive issued to the Chief Secretaries of Uttar Pradesh, Punjab, Haryana, Rajasthan and Delhi. In a letter to the states, the CPCB (Central Pollution Control Board) directed all authorities, particularly the police, apart from the transporters, to coordinate action on its order so that “trucks are turned around before they enter Delhi”. It has also asked the authorities concerned in the states to request people to desist from using diesel cars during this period. “The air quality forecast from the System of Air Quality and Weather Forecasting and Research (SAFAR) of the Ministry of Earth Sciences and the India Meteorological Department (IMD) says that the period post Diwali — November 8 onwards, could see a sharp deterioration in air quality because of low dispersion and winds from the northwest, which will bring emissions to the region,” EPCA Chairman Bhure Lal said in a letter. “Based on this forecast and the recommendations received from the CPCB-headed Task Force, EPCA is directing this additional action (banning trucks’ entry). All other measures, as directed by EPCA on October 27 and 31 must be strictly enforced,” the letter said.